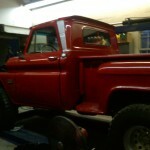 We are currently working on a 1966 Chevy Pickup. 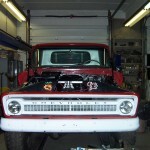 A brand new custom dart block 400 ci engine (dyno at 562 horse power) is being installed into this truck. The team is working on the drive train, installing new headers and a custom exhaust system, along with a new fuel delivery system. 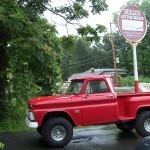 We will update you later on this truck.